Leadership Acts Associates is a distinguished alliance of seasoned consultants creating impact and delivering extraordinary value in the areas of organizational culture and leadership. We focus on individuals, teams, and divisions as key elements for improving leadership and organizational effectiveness. The members of Leadership Acts Associates are independent consultants with their own practices. As a group, we emphasize collaboration, the culture of the total organization, and action oriented approaches. We bring strategic and tactical competence to every client situation. We have an enduring commitment to diversity and to leveraging talent and experience. Extraordinary service and partnership drive relationships with clients. Our work grows because of our commitment to high ethical ideas and standards. You will find us, in every situation, to be honest and trustworthy with you and your data. We neither oversell nor under-deliver; we will always represent our services accurately and provide solutions that are in our client's best interests. We are uniquely positions to assist organizations of every size across multiple sectors and industries, and we're proud of our work and clients! 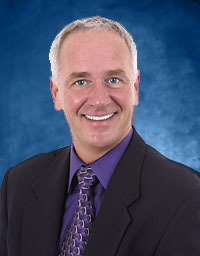 Mike Horne is the founder of Leadership Acts. 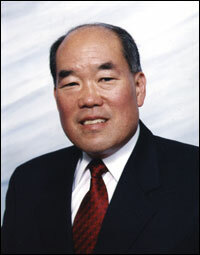 He works from the San Francisco Bay are, and began his consulting practice in the 1990s. Prior to beginning his consulting practice, Dr. Horne led the organization development function at Marriott International and held human resources leadership positions in Nortel Networks. As a former researcher and consultant in two premier global consulting firms, Mike worked extensively in Asia and Europe on organizational culture, leadership development, performance management, and organizational research and analysis. He is an experienced facilitator of senior-most teams in organizations and a veteran of linking human resources strategies to business performance. He has served many of the world's leading corporations. He holds graduate degrees in human resources development and organizational behavior. 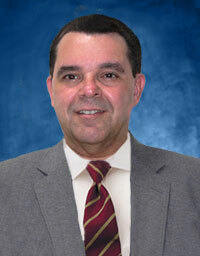 Miguel Guilarte is the founder and president of Transforma Management Consulting. Dr. Guilarte brings together knowledge of group process facilitation, change management, strategic planning and implementation. supports organizations striving for excellence and effective results by providing consulting on communications, cultural and organizational change processes. Miguel has broad professional and academic background in psychology, sociology, organizational design, management, information technology, and the interface with human systems in process design, development, quality control and measurement. His educational background includes degrees in Electrical Engineering from the Massachusetts Institute of Technology, and Stanford University, degrees in theology and philosophy from Yale University, and degrees in sociology and organizational management from Columbia University. Miguel has been a professor at Columbia University in New York City, the University of Michigan in Ann Arbor, Michigan, and is currently in the faculty at the Fielding Graduate University in Santa Barbara, California. His current work focuses on management communication and decision making in support of change processes and organizational development through coaching, leadership and executive development, and in strategic planning and implementation. Miguel was born in Cuba and is fluent in Spanish; Miguel works from San Diego, CA. 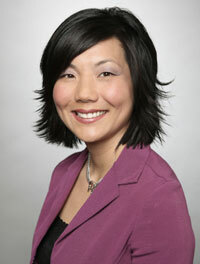 Mary Choi Kelly provides expert consultation in organization development and leadership development. She combines experiences in start-ups and the Fortune 50, where she has lead the human resources, organization development, and leadership development functions. She creates and implements systems and processes to drive positive change. She quickly segments organizational work to clarify objectives, to improve communications, and to foster goal attainment. Mary's doctorate is in organizational psychology. 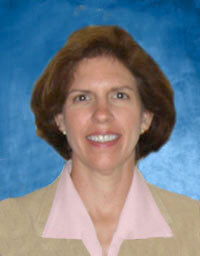 Kim Logan is a seasoned Human Resources leader with more than 20 years experience in HR, Sales, Marketing and Finance. She has held senior leadership roles in Human Resources in both public and private companies and has industry experience in the Telecommunications, Healthcare, Pharmaceutical and Education sectors. Kim has extensive experience in the development and execution of HR Strategy, M & A planning and integration, leadership identification and development, process change management and development of HR business partners. She has had broad geographic experience within North America and globally with a strong emphasis on matrix management and globally dispersed teams. Kim works from Nashville. Kim holds an MBA from Vanderbilt University. Mark Nozaki, President of Odyssey Leadership Consulting, has over twenty-five years of organization development, human resources and management experience in public and privately held global corporations. His areas of expertise include leadership development, diversity and inclusion, strategic planning, HR metrics and benchmarking, and organizational culture. Mark's engineering and technical background enable him to provide a quantitative and statistical analysis approach in developing solutions. Mark has faculty and executive coaching positions with the University of Virginia's Center for Executive Development, the Federal Executive Institute, and the National Training Laboratories (NTL) Institute for Applied Behavioral Sciences. He has been a featured guest speaker of the Organization Development Network, American Society of Training and Development, and the Human Resources Leadership Foundation. Mark advanced degrees were awarded from American University (Organization Development) and the University of Southern California (Operations Research). He is certified as a Professional in Human Resources by the Society of Human Resource Management and a member of the NTL Institute for Applied Behavioral Sciences. Marcia Ruben is President of Ruben Consulting Group, Ltd.. Marcia is an expert in organizational consulting, executive coaching and change leadership. She works from San Francisco. For more than 25 years, she has helped individuals, teams and companies excel by focusing on the human and organizational system issues that impact performance and growth. Her consulting practice ranges from assignments leading change management efforts for global initiatives, strengthening team and cross-functional collaboration, and coaching executives and other organizational leaders. Marcia's goal in every assignment: to help clients achieve breakthrough results. Her experience includes work with high technology, financial services, retail, biotech, government and professional services. Marcia has a talent for engendering trust at all levels of an organization enables her to collaborate with clients to craft comprehensive, custom solutions. 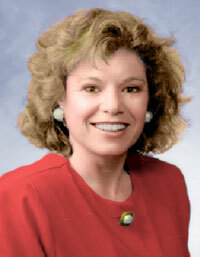 Marcia earned the Certified Management Consultant designation from the Institute of Management Consultants USA in 2002. Marcia speaks regularly at industry conferences on leadership and change topics. She has also co-authored several articles that are recognized as thought-leaders in the industry. She is currently a doctoral candidate. Marcia graduated Phi Beta Kappa with a B.A. from University of California, Berkeley. She holds two graduate degrees; one in counseling and another in human and organizational systems. 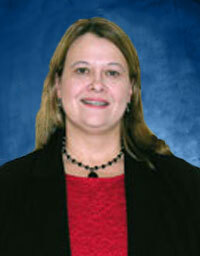 Cristina Samuels is President of Institute of International Training, based in Orlando. Cristina is a leader in organizational culture, diversity, and global customer service. A native of Buenos Aires, Argentina, her background includes a balance of living and consulting in the United States and Latin America. She is a graduate of the University of Kansas, where she received a Bachelor's Degree in International Relations and a Master's Degree in Education. Ms. Samuels has served as a consultant and trainer delivering customized diversity, sales and customer service programs in thirty-two countries throughout the U.S., Europe, the Caribbean, Latin America, the Philippines and the Middle East. An expert in cultural diversity, Ms. Samuels promotes quality and productivity in a multicultural workplace and global market. She has consulted and trained executives, managers and employees in cross-cultural communication for leading corporations. As a Director of International Training for Marriott Vacation Club International, Ms. Samuels developed international sales and management programs for all regions of the world. Ms. Samuels has presented over 1,200 keynotes and training programs across the United States, Canada and England. Sharon Wagner is President of Quantify Consulting. Dr. Wagner advances individual and organizational performance through the intelligent application of quantitative measurement practices. With over 15 years of experience as consultant to a wide variety of industries, Sharon's areas of expertise include organizational diagnosis and change; managerial coaching and development; and employee assessment, selection, and performance measurement. 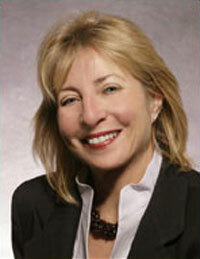 Sharon's work on organizational change and performance metrics has been featured at numerous conferences and seminars, including recent national/ international meetings of the American Society for Training and Development, the Organization Development Network, and the International Quality and Productivity Center. Her publications include contributions to the OD Practitioner, the Pfeiffer Annual, McGraw Hill's Team and Organization Development Sourcebook, and ASTD's In Action: High Performance Work Teams. She works from the San Francisco Bay Area. She is currently at work on a book manuscript titled Measure Success: A Practical Guide for the OD Professional.